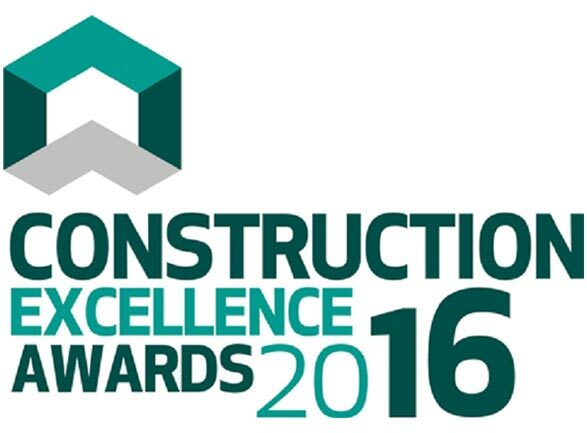 Elmsbrook at North West Bicester was the winner of the Sustainability category at the Constructing Excellence Awards 2016. The Constructing Excellence Awards focus attention on some of the most important issues for the sector, and recognise the very best companies, collaborations and projects – sharing best practice and inspiring others to adopt new and better ways of working that deliver outstanding results. Elmsbrook, the first phase of North West Bicester, provides 393 highly energy efficient homes and a local centre, creating the UK’s first true zero carbon community. North West Bicester is a pioneering and sustainable new community – its masterplan will deliver up to 6,000 new homes and jobs to Bicester. As the UK’s first eco-town, its core aim is to make it easy, attractive and affordable for people to live healthy, sustainable lifestyles without compromising the needs of future generations. • A combined heat and power (CHP) plant, which supplies heat and hot water to all homes through a district heating system, with excess electricity exported to the grid. • Each home and business will have solar photovoltaic panels averaging 34m2 per property generating capacity capable of powering 528 homes. • Rainwater-harvesting to capture and store rainwater to reduce water consumption. • Super high insulation levels to achieve a fabric first approach. • High rated A++ appliances to reduce energy and water consumption. • Rented properties have energy-efficient ventilation to capture and re-use escaping heat. • Water consumption is significantly reduced from 150 litres (average) to 80 litres per person per day. • Designed to stay cool during summer and warm in winter, the homes are future-proofed to cope with an average two-degree rise in temperature and a peak ten degree temperature change predicted by 2050. • FABRICA's parent company, A2Dominion Group, is leading the way and aims to close the gap by re-thinking design, build and procurement processes. Together with a research team from Loughborough University and Bioregional they are creating a Bicester Eco Town Process Improvement Toolkit (BEPIT) – a toolkit for the mass. In 2015 /16 the Group built 1,127 homes, including 330 private sale, 268 private rent and 529 affordable homes, and acquired new sites with the potential to deliver 983 new homes. Over the next four years the Group aims to build 4,500 homes to meet a range of housing needs reflecting both people’s incomes and lifestyles.